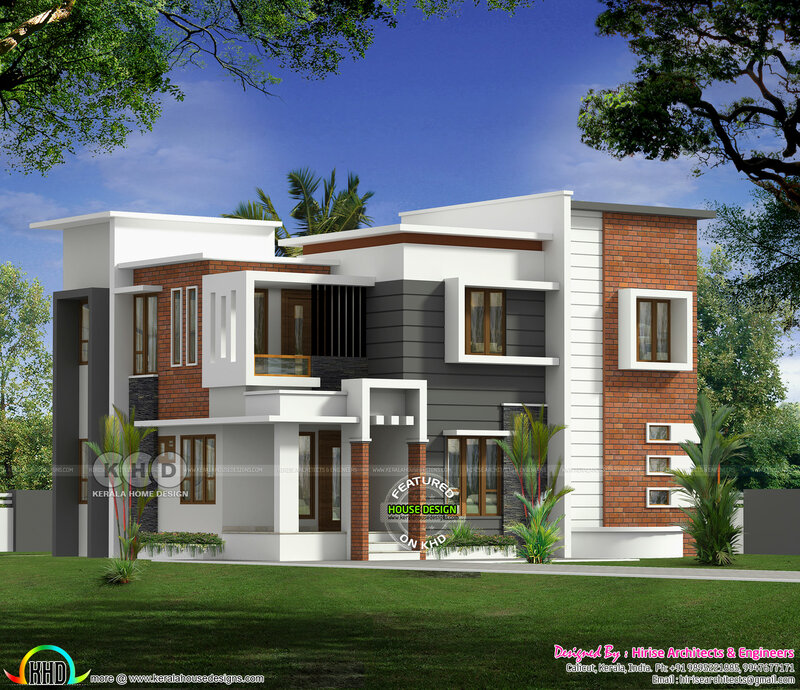 Flat roof modern style house design in an area of 2250 Square Feet (210 Square Meter) (250 Square Yards) 4 bedroom home. Design provided by Hirise Architects & Engineers from Calicut, Kerala. 0 comments on "Flat roof modern 4 bedroom house in 2250 sq-ft"